Dubai: Indian expats seeking passport services of the Indian missions in the UAE will now have to submit their applications online before visiting the application processing centres. Online application was made mandatory for Indians living in Dubai and other five emirates under the jurisdiction of the consulate from the start of this week, the Consul General of India in Dubai Vipul told Gulf News. Navdeep Sing Suri, the Indian Ambassador to the UAE, said the same rule will be made applicable to applicants seeking passport services from the Indian Embassy in Abu Dhabi from Wednesday, April 10. As first reported by Gulf News in January, this follows the integration of the Passport Seva project in India with the passport service system here, which is a preliminary step towards issuing chip-based electronic passports. The project aims to eliminate paperwork and cut down the time for issuing passports. The diplomats said the integration was completed with the support a technical team that came over from India. Though there was no public announcement, the consulate has posted the new rules for mandatory online application on its website. BLS website has also listed the new procedures. The diplomats clarified that physical appearance of the applicants was still required at the centres of BLS International, the service provider to which processing of Indian passport and visa applications has been outsourced. The applicants have to go to the nearest BLS centre with the printed copy of the application submitted online and the other original documents required for verification. Applications are also required to be signed before the submission officer at BLS. With the applicants being able to fill the forms online, they can now avoid paying the service fee of Dh30 at BLS. However, Vipul said, the BLS centres will continue to provide the service for applicants if they are unable to do it by themselves for any reason. The new process has been implemented in the US, UK, and Oman. This will help the missions here to cut down the passport issuance time from the current five days to two to three days. 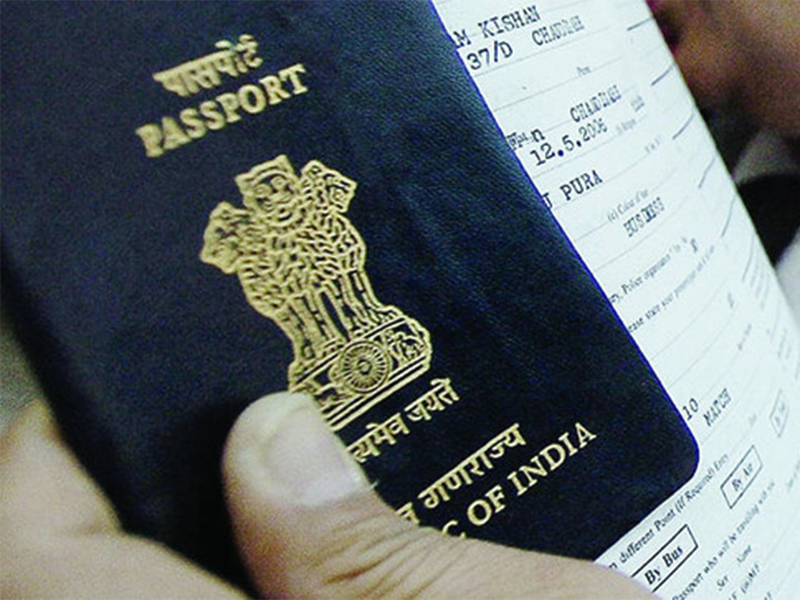 The Indian missions in the UAE are among those issuing the highest number of passports every year. Last year, the missions issued 272,500 passports, of which 211,500 were issued by the Consulate. The online project is said to be a precursor to issuing chip-based electronic passports. In January, Prime Minister of India Narendra Modi said work was on to issue chip-based e-passports to Indian citizens under a centralised passport system. “This will prepare a centralised system connected to the passport service for all of you,” he told the Non-Resident Indians attending the Pravasi Bharatiya Divas (PBD) Convention in Varanasi, India. “Going one step ahead, work is on for issuing of the chip-based e-passport,” he had said.